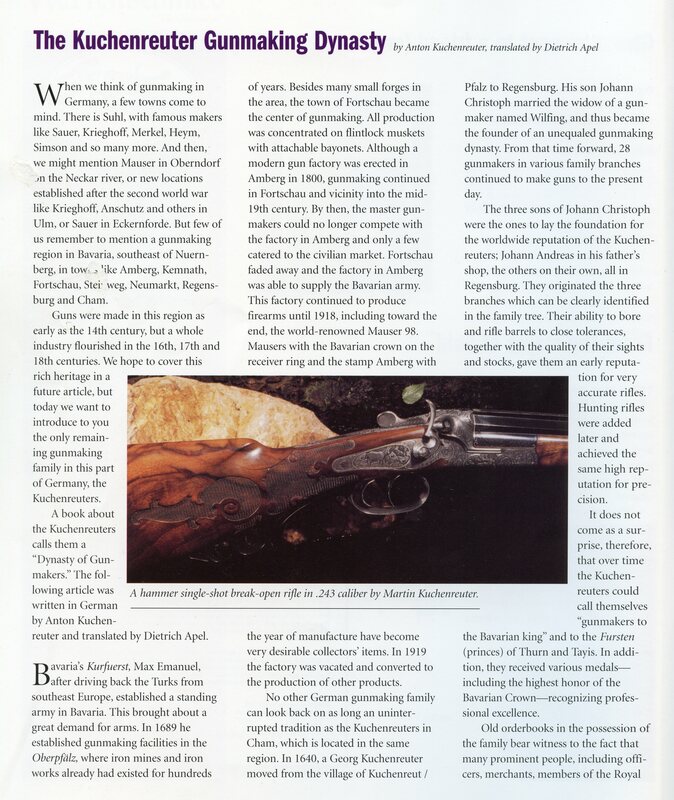 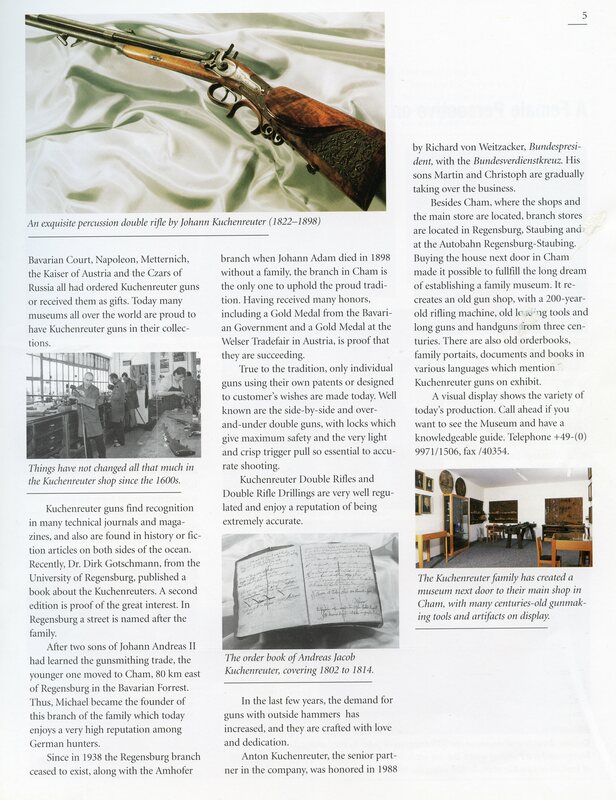 Click on the above pdf file for the history of the Kuchenreuter in German. 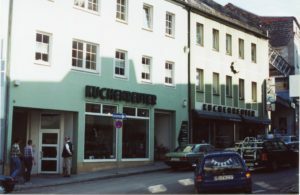 The following pictures of the Kuchenreuter shop in Cham, Bayern were taken during a visit in 2000. 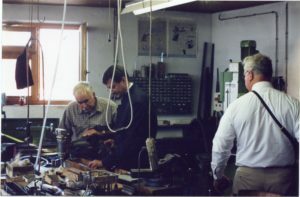 My good friends Hans Pfingsten and Dietrich Apel have since passed on. 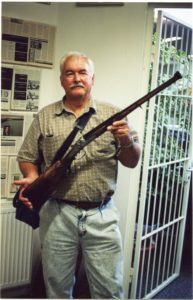 My good friend Hans Pfingsten holding a Kipplauf Stutzen outside hammer rifle made by Kuchenreuter’s. 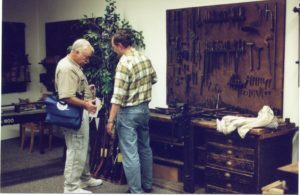 Hans Pfingsten and Christoph Kuchenreuter discussing an antique gun in the families store Museum. 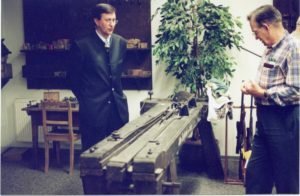 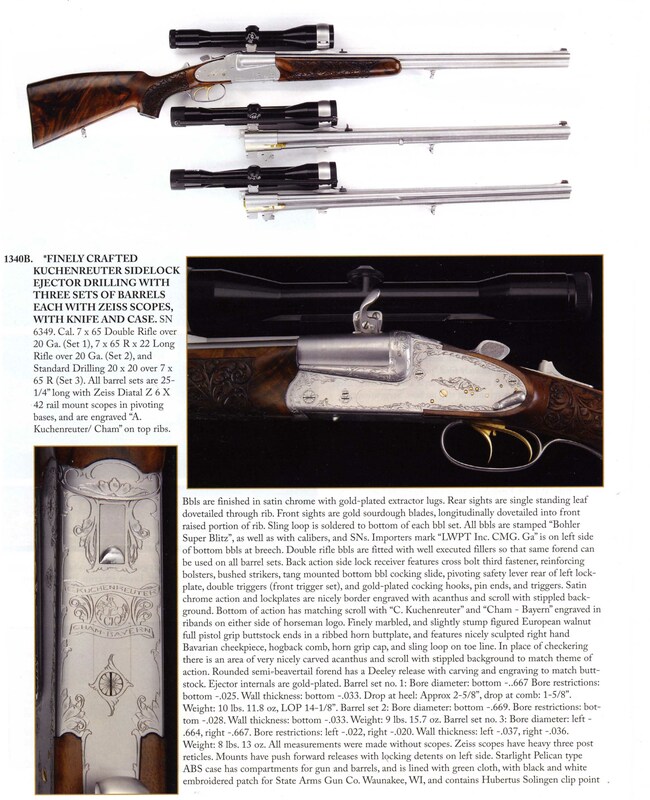 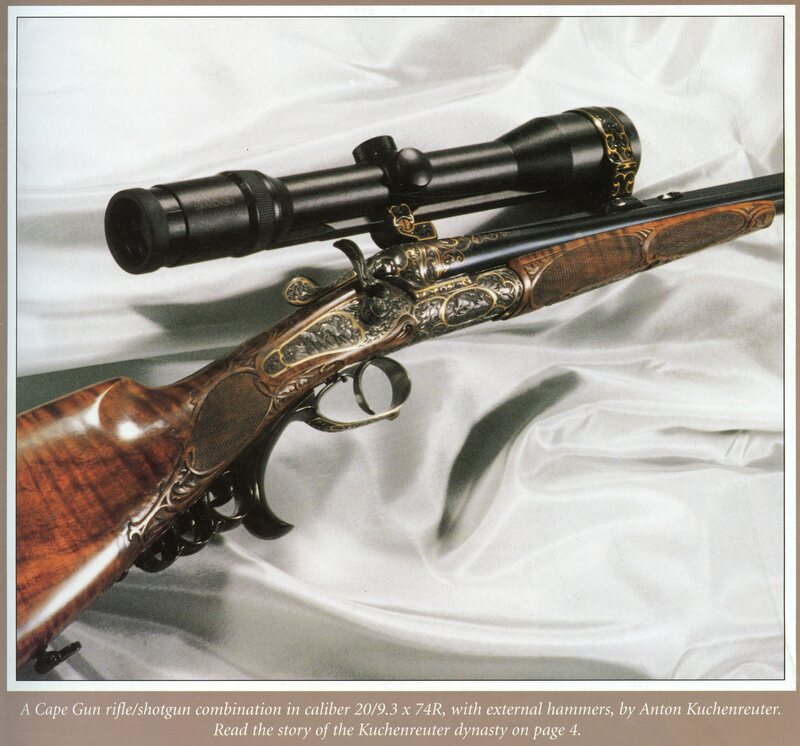 My friend Dietrich Apel views a Rifling Machine from about 1800 with Martin Kuchenreuter giving background. 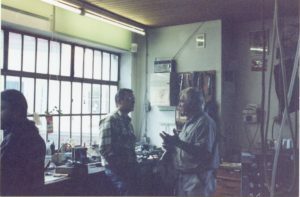 Hans and Christoph in front of the shop windows in deep discussion.